ITAMOrg IT Asset Management certification program provides middle and higher level management with an objective confirmation that they really know what ITAM is about. ITAMOrg is a fast-growing global membership organization of IT Asset Management Professionals. With the mission to develop and strengthen the awareness & competencies in IT Asset Management best practices, ITAMOrg offers certified ITAM education. The certification program is based on several standards, including ISO 55000, ISO 19770 and has a clear link with best practices in Service Management. 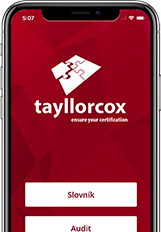 ITAMOrg is Accredited Courseware Provider (ACP) and provide Authorized Training Material to TAYLLORCOX.